I have been so blessed to be a part of Special Olympics Missouri in many different ways. I have been a volunteer, a coach, a member of the Games Management Team, a fan and a friend. But I think the best way I have ever been involved is as a teacher. I am a special education teacher in Springfield, Missouri, and I have had the wonderful opportunity to take my entire school to cheer on the amazing athletes at the State Summer Games. To see how excited the students from my school were about going to Special Olympics is something I will never forget. 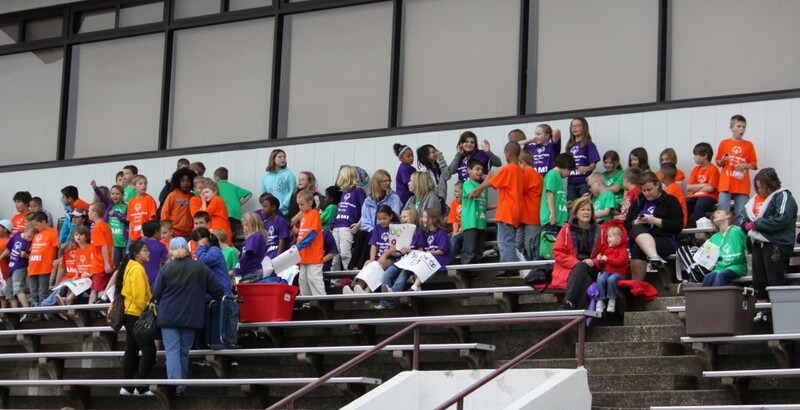 For two years, we were able to take about 150 students to cheer on the athletes as they competed in track and field events. 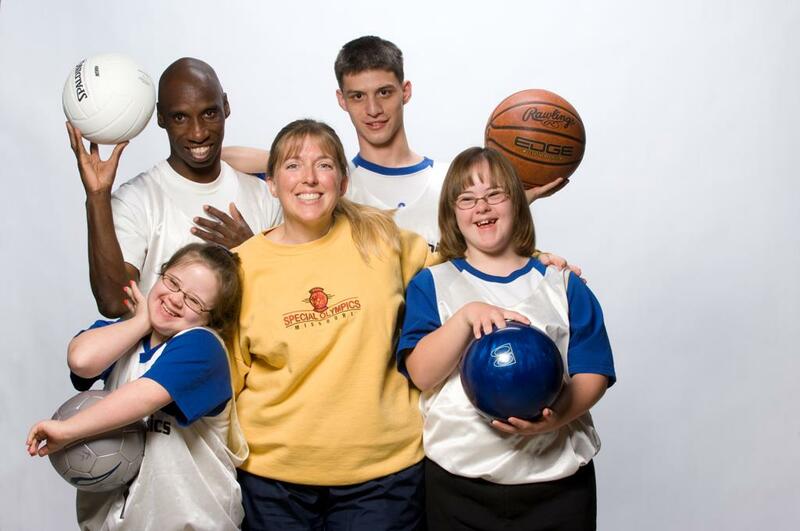 A lot of the students at my school did not have a lot of knowledge of Special Olympics. I have one student, Madison, who has participated in the track events at the summer games since she was eight years old. The students had listened to her share her stories of the games and saw her medals, but they did not quite understand how inspiring these athletes can be until they experienced it first hand. 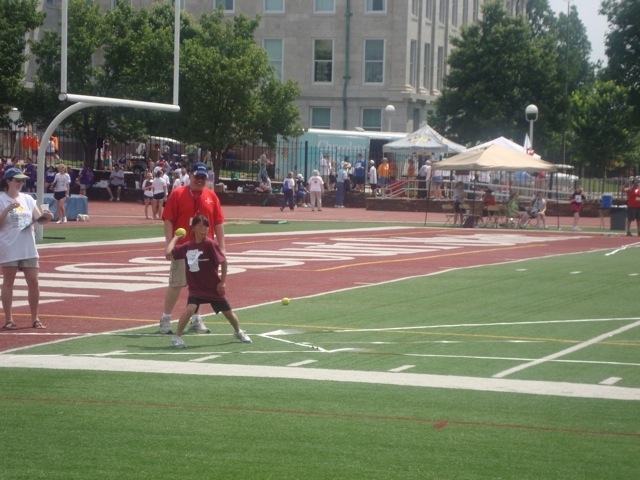 So in May 2010, our school attended our first Summer Games, which was held at Missouri State University. To say that I was touched by the way the students from my school interacted with the athletes and cheered them to victory would be a huge understatement. I was surprised by how vocal and involved the kids were. They cheered from the moment we got there until we left, and they made sure that all the athletes knew we were proud of them. Many of the athletes came over after their event to talk to our students. Everyone was so excited and accepting of each other. The best moment of the day came at about 1:30 when our Madison was competing in the softball throw. Our group was so loud and we could all see Madison beaming at us from the field. She was so excited to share something that she was amazing at with everyone at her school. She ended up getting a silver medal in the event and got to show off her medals to all of her friends and classmates. Special Olympics has such a special place in my heart, and I love that I got to share the experience and plant a seed of acceptance and love in the students at my school. I see their incredible acceptance and love of my students every day. The lessons they learned by going to Special Olympics will stay with them long after they leave our school. Katie Burrows is a volunteer and teacher in Springfield, Mo. I am a die-hard Mizzou Tiger fan. It was just meant to be. I was a Pleasant Lea Junior High Tiger, Lee’s Summit High School Tiger and then blessed to be a Mizzou Alumni! In the middle of March Madness, I am reminded of all the highs and lows of being a Tiger fan. We beat KU, lose to KU, win the Big 12 tournament then lose in the first round of the NCAA tournament. Through all the seasons I remain a true fan – win or lose! Some wish to have a team that wins every time, but really that would not be fun. It is called sports because, by definition, it is a source of recreation, diversion and pleasure. If we always knew who was going to win, it would no longer be called “sports” it would be “beatings.” It would not teach us much or give us anything to cheer about. The fun would be gone. What we learn every year during March Madness is that anything is possible and at any time something unexpected will happen. That is where the thrill is! 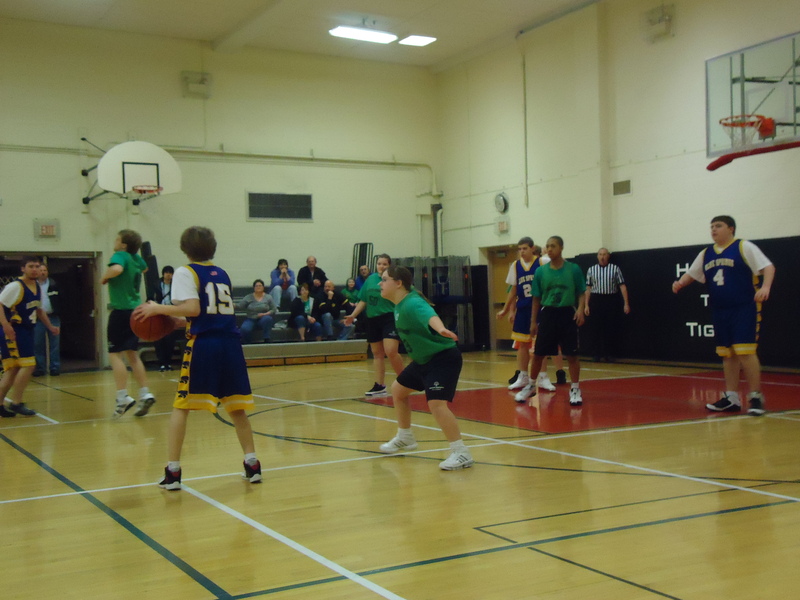 Special Olympics’ March Madness reminds me that I am an even BIGGER fan of another team. That would be Special Olympics Missouri and all the exceptional athletes and thrills they bring to my sports experience. Sure, Mizzou can treat you to a great game, but to watch a Special Olympics basketball game with all that hinges on its outcome can bring you to the edge of your seat. These games are the epitome of pure sport and pure joy. It brings real meaning to “the thrill of victory and the agony of defeat.” To each athlete on the court, this is where they have worked to be. They want nothing more than to be there and to take in all that sports have to offer them. All those highs and lows and what it will teach them in the end. The greatest part is that there is nothing else on the table for them but the experience. No money, no contracts just the love of the game. It was at Mizzou in the spring of 1989 that I first volunteered with SOMO athletes. It was a spring day when many Greeks from Mizzou went to be assigned as buddies at the track meet. I went that day and got hooked on pure sports! I saw athletes giving everything they had and I was amazed at their commitment along with the commitment of the coaches. I knew then and there that I had to remain a part of this program. My many years in the program have taken me from volunteer, to coach, to staff member, back to volunteer and now a coach again. It has been a true joy to be around for so many sports stories that may not be printed in the pages of Sports Illustrated but have been imprinted on thousands of hearts and minds. One of my favorite stories of Special Olympics competition happens at least once a year for me. It always makes me smile and often makes me cry. It is when an athlete has a ribbon placed around their neck and they celebrate like it is the gold medal. They cheer and applaud their efforts and the efforts of others. I think, as a coach, this is one of the most important lessons that come from being in a competition setting. The quality of knowing when you did your best and to celebrate all your efforts, not just the ones that bring to top honors. The next most thrilling thing to see is an individual athlete or team meet a goal they have never accomplished before – running or swimming to beat their best time, lifting their heaviest weight ever, serving a game of tennis with no double faults, scoring their first goal, making their first basket, catching a pop fly, bowling their best game ever, finally winning a team gold medal when they had never won a game before. There are so many “first evers” that happen in Special Olympics, and you never know when you will be there for that snapshot of athletic history. This kind of exhilaration in competition is what makes people who have professional or college sports backgrounds exclaim that Special Olympics is a pure form of sports. I sat with a local sports talk radio personality during a 3-on-3 game one day years ago. I listened as he took in the intensity and was shocked at the level of competition in “just a 3-on-3 game.” By the end, he was won over. It only took that one game and he felt the emotion and power of what sports brings to the athletes. I have seen these kinds of awakenings happen with Chiefs, Royals and Mizzou athletes who become wistful for the days when the sport they love was this joyful, free-spirited and pure. It reminds me of what Special Olympics provides to the athletes. It is so much more than a medal or the chance to compete. It is what the actual experience of competing brings. A chance to win, lose, work as a team, have a goal, beat a personal best, learn skills, experience exhilaration, thrill the fans. I am a fan of SOMO and the athletes. It was just meant to be. Through seasons of change, paperwork, 40-degree track meets and blazing hot softball tournaments, I will remain a fan. For none of these things can overpower the experience, the lessons and joy of pure sport. I am blessed to be there for those thrilling moments and get to share in these athletes’ magnificent achievements! Dawn Jones was the Kansas City Metro Area Director from 1996 – 2005 and currently coaches in Lee’s Summit.